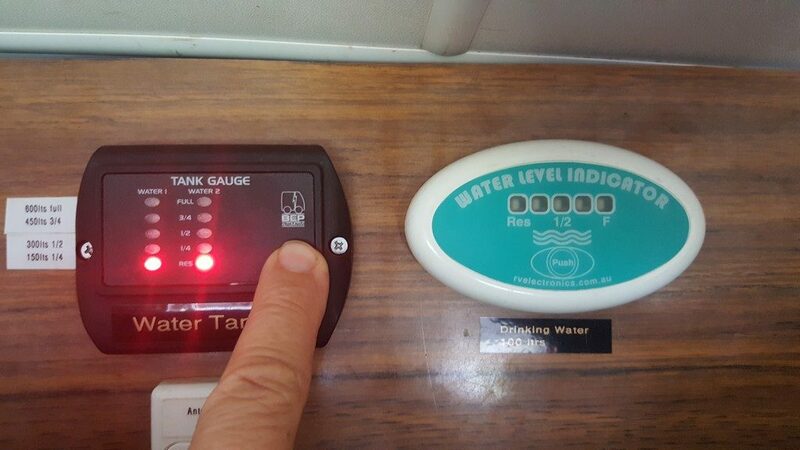 These two great Aussie inventions have been designed by campers to save and monitor your water consumption whilst you are out caravanning or camping. We have these items for sale individually in the Free Range Camping Shop, but this month have combined them in a Water Saving Kit and offering one of our premium members the chance to win the package. Read on below to find out how each of them works and then how you can go in the draw to win one. Michael, who is the inventor of the Rain Saver Gutter did exactly that when he was camping at Bruney Island Passage. Not wanting to relocate just to get water, and sick of filling jerry cans and caring them back and forth, he thought long and hard about it all and came up with a novel idea on how to convert an existing awning, into a gutter that can collect rainwater just as efficiently as any household guttering system. We met Michael at the Brisbane Caravan and Camping show and saw his product in action. He showed us how quick and easy it was to install, and gave a demonstration of how it collects rainwater. ****NOTE:  Best results are on valances 190mm or more. Under this length may need modifications. Many campers will know how precious water is when out camping, especially when free camping or in some of the more remote areas of Australia. Knowing how much water you have on board can be critical, and it also allows you to plan your trip better and know how long you can stay in one location. Having an accurate water gauge can greatly assist with this. Yes, you can wait till you are empty and use that as a guide, but that could also get you into trouble. 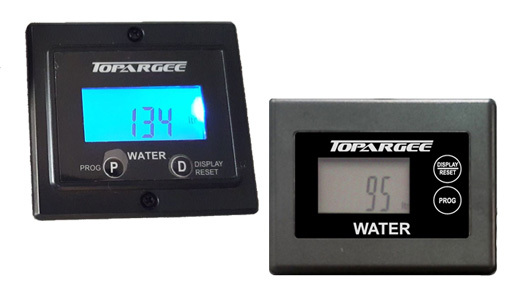 The Topargee Water Tank Gauge fits into your existing pipework and accurately measures the water flow. It is that easy. 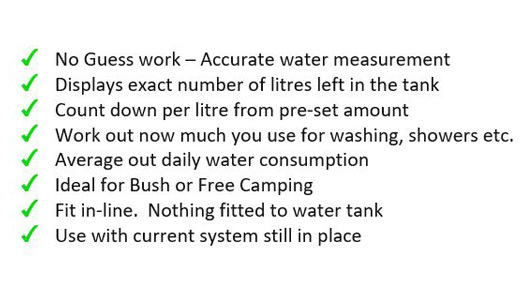 The added benefits are that you can start to work out your daily water consumption, and plan your trips better. Because there is no drilling involved, the unit is easily retrofitted to just about any setup. There are two models. The video below shows how easy they are to fit. We just fitted one to our motorhome. 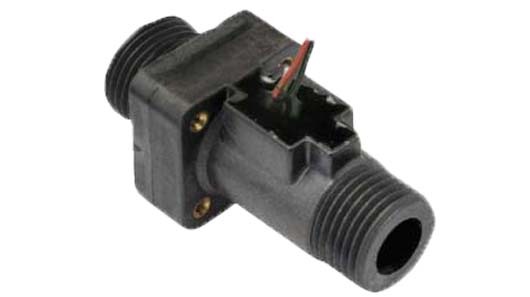 We chose the surface mount model due to restricted wiring access. The unit was easy to fit and we had it done in under an hour. A brilliant device. Gone is the guesswork. The install was relatively easy. I gauged this by the number of times I swore, which in this case was only once as my head made contact with the chassis as my pump was located under the motorhome, but in most cases, pumps will be within the motorhome and easier to access. It was really a matter of just running cables, then clicking them in place. There were a couple of screw-on fittings to the sender unit, and then the pipes just pushed into the existing John Guest fittings which are standard on most caravans or motorhomes. The batteries came with the unit, so it powered up and worked accurately first time. Being a large bus we are fortunate enough to carry a larger capacity of water than most. But it is still critical for us to know how much water we have and how long we can stay in one location. The Topargee gauge allowed us to do this. 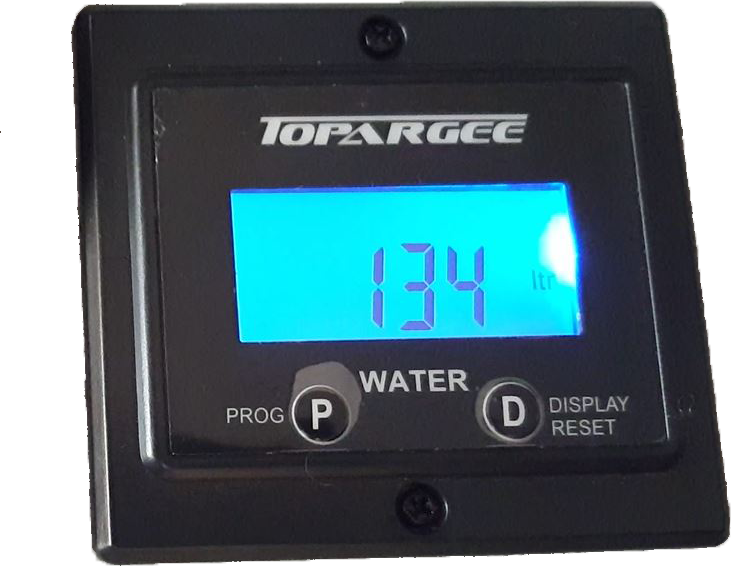 After setting our gauge up, we were able to watch the water flow and flow it did, as I watched 35 litres disappear in a 5-minute shower. But, my wife assures me this was just for testing purposes. The biggest advantage is that we have been able to work out how much we use per load when we do the dishes or use the washing machine, so it really helps to manage our usage. Now, instead of getting the red warning light, we know almost to the litre how much we are carrying. 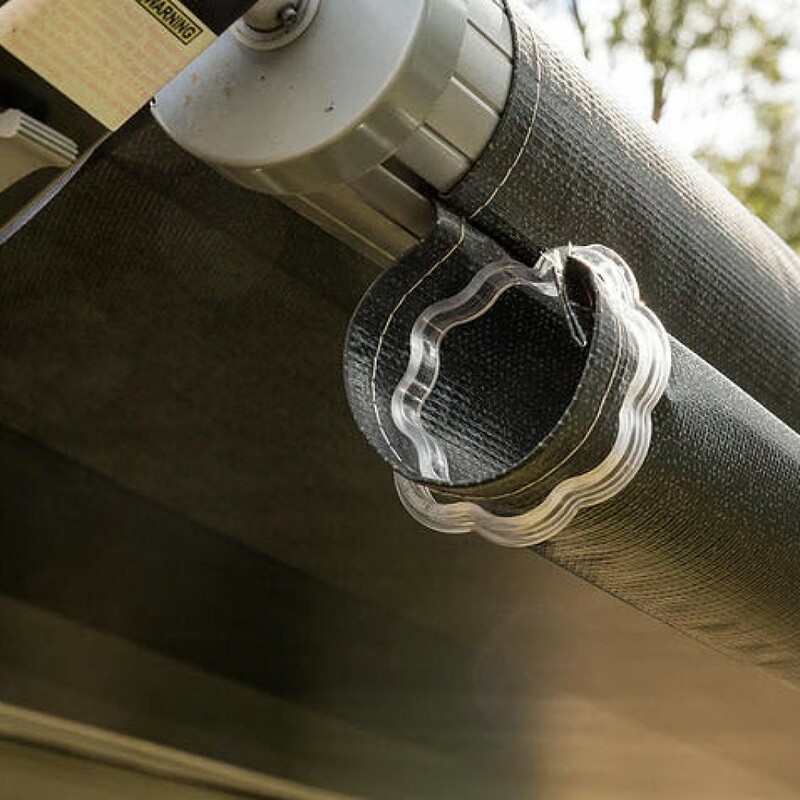 This month we are offering all premium members a chance to win the Water Saving kit, consisting of a Big Rig Size Rain Saver Gutter Kit and the Topargee Flush Mount Gauge. 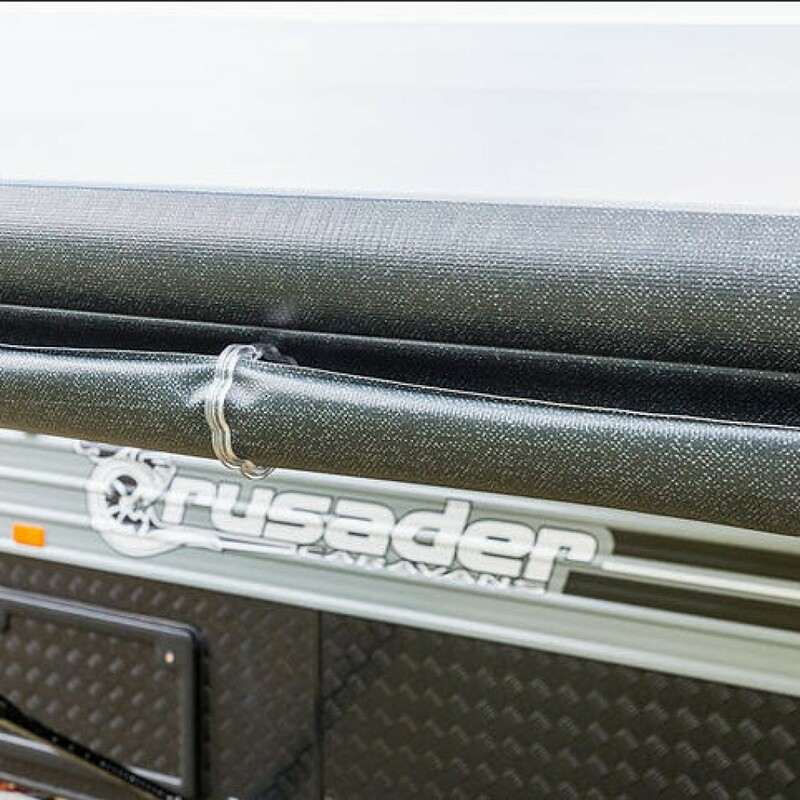 The Rain Saver Kit is big enough for the biggest size awnings, so even if you have a small awning, you will have enough spare clips to last you a lifetime. To find out more on how to win your own kit, follow the link below.